Gnomes & Goblins is an original production from Wevr (creators of theBlu) in partnership with Reality One that offers a unique opportunity to explore an enchanted VR world created by Jon Favreau (director of The Jungle Book, Chef, Iron Man). In this preview, you meet and develop a personal relationship with an enigmatic resident of this interactive fantasy, taking a first step into the lucid dream of Gnomes & Goblins and its many realms and denizens. "I had been been playing around with this basic world and the characters but I wasn't sure how I would apply them. Wherever I thought it might go, the medium just didn’t seem right. And then I went over to Wevr and tried out the theBlu on the Vive. Presence was the most interesting phenomenon when I experienced it for the first time. Knowing that you are seeing something artificial and yet your brain is fooled into believing that it’s real. And that is unique to VR. 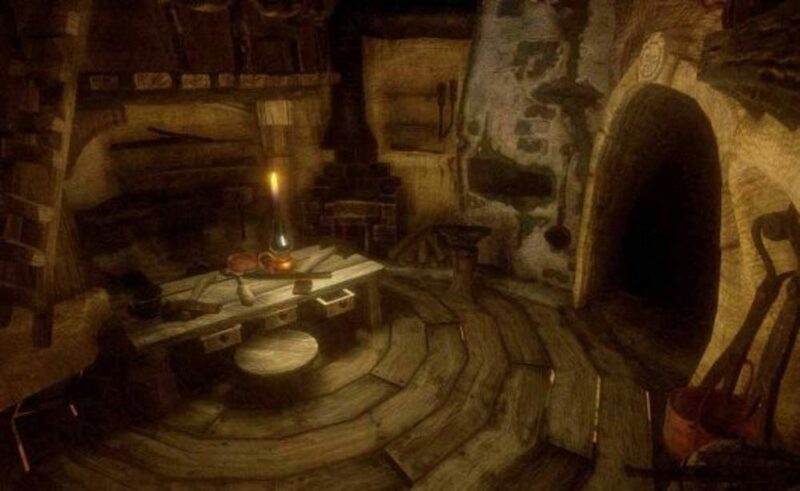 Something that feels not so much like a game and not so much cinematic, but where you had the opportunity to explore the same feelings you get while lucid dreaming, and it really lent itself to this world and its characters. This project was one where I felt like there had to be a lot of room for exploration. It wasn't one where I wanted to know where we were going when we started. And so I wanted to work with a smaller company that had more of a lab feel rather than feeling like I was creating content for an established goal. You’re only as good as the people you are collaborating with and the whole team, although small, is a group of people that shared a singular vision and a commitment to breaking new ground and trying to discover things. The appeal is to have somebody who is not a gamer and never had a VR experience, be able to enjoy this without feeling that they need to have a certain skill set, but we also don’t want it to be passive cinematic experience where people just sit and enjoy it like a ride. It needs to be something where you engage in the way that you would in life. It should feel like you’re developing a relationship with these characters. We are constantly referring to the Turing Test to see if this entirely artificial environment can make people feel a sense of human connection. We put a lot of effort in creating a mood and a feel to the world, having enough interesting details to where you would feel like you could explore endlessly. Even in this limited preview experience, I wanted it to be very rich. Where you felt like every time you went back in, you felt like you could find more." It’s a heightened sense of things, enough to feel like you’re in a dream. "One of the key pillars in the project was creating an immersive, comfortable VR environment. 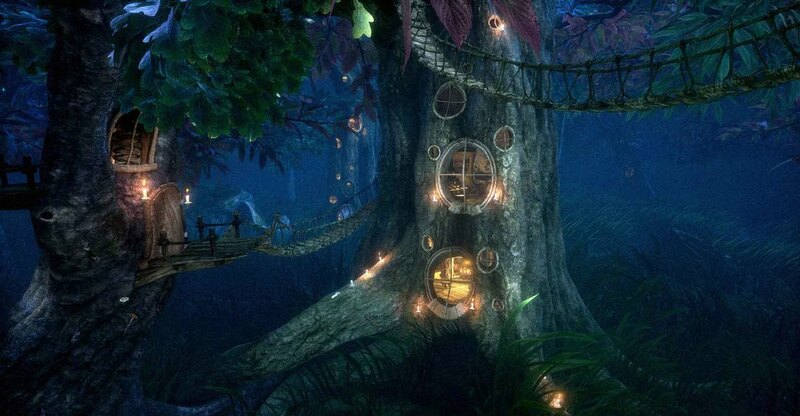 Jon wanted the goblins’ forest to be a familiar place, like something from a dream where your imagination is invited to experience the world without fear and discomfort. 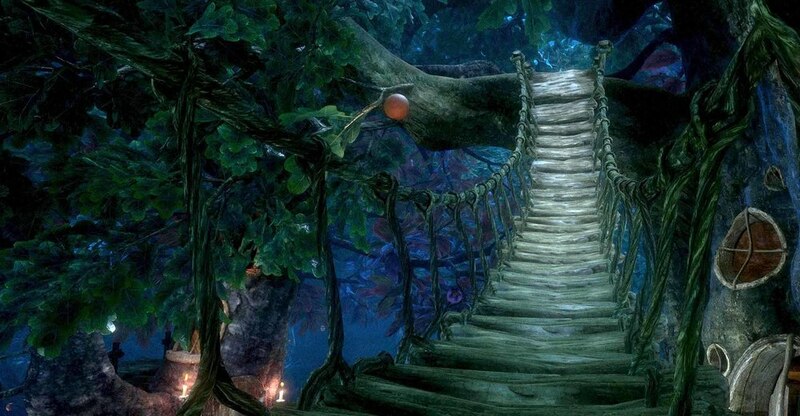 We spent a lot of time discussing the ideas of lucid dreaming, enchanted moments, having a storybook feel, and how can we capture these moments in VR. 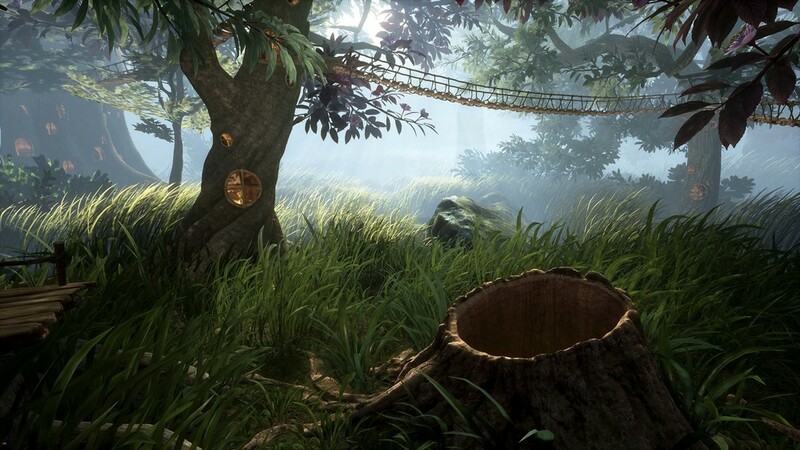 The scale of the forest, the leaves blowing just the right way with the right sound all help to create the correct mood for the player. The physics are slightly stylized, and we included features like touching the grass to release the fireflies. It’s a heightened sense of things, enough to feel like you’re in a dream. 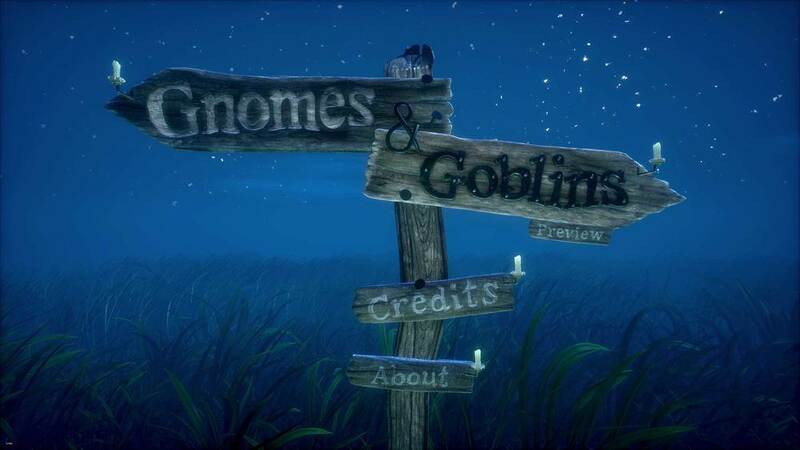 All of these aspects and many more were crucial to making this world that Jon envisioned for Gnomes and Goblins. Just like with people, the first level of connection with our character is the eyes. Another pillar of the project was the ability to connect with a character in a meaningful way in the VR space. Just like with people, the first level of connection with our character is the eyes. The base foundation for our AI is eye contact and eye tracking to the headset and controllers – so whenever he’s in your space, he’s tracking your head and hands. If you pick up an object, he sees it and it has meaning. Is it a gift or is it a threat? If you move at him, he will move back. If you move back, he might move forward if he trusts you. All the while, his eyes are connected to your head and hands. With this core foundation, we wanted to create the beginning of a relationship, the start of a personal attachment and someone you want to go back and visit. "For almost 2 years now, while working on theBlu and Gnomes & Goblins, I’ve been able to work and learn from some of the best minds in storytelling and the interactive medium. 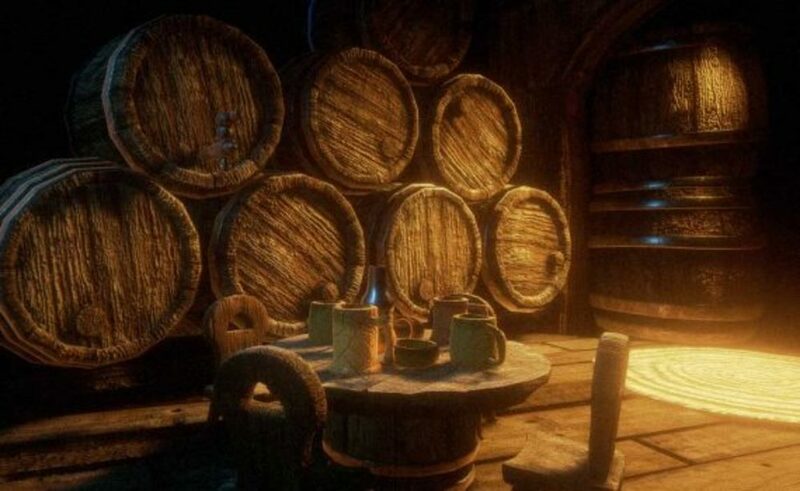 Many of our team members worked on both projects over that time, and if theBlu serves as a great introduction to VR, it is our hope that the Gnomes and Goblins Preview hints at the potential future of what VR has to offer." "I think building a relationship with an AI character is relatively new in VR. Artificial intelligence is one of the hardest nuts to crack in any capacity. It's an enormous challenge and I think we are taking huge steps with our goblin. We want him to be responsive to what people do. If you move too fast he gets nervous and if you’re nice he’s more at ease and moves closer, just like a real animal. AI is extremely difficult in gaming and in VR you can multiply that by ten. You’re so much more present in the VR experience, and your movements can be so much more unpredictable. You can run and jump and throw things and the AI has to react to all that and do it naturally. And if we can achieve that, which is extremely difficult and ambitious, then I think we’ve won. I think what Jon brings as a director is a sense of story and character. For him it’s about feeling. I have seen him play G&G several times. And when he sits in there he wants to feel something, he wants a connection with the characters and environment. That’s what he’s pushing for. For you to be able to go to a place that you enjoy and it’s so beautiful that you want to sit there with the grass and trees around you and look around and find different things. We put little easter eggs everywhere so if you spend time there, you spot new things just like you would in nature. That’s the goal here. If you can sit by a tree, and then sit by another tree the next day and something different happens. Every time you go in you should experience something different. You can see trees in the distance with little lights on them, and you want to go check those out. And by befriending this guy he kind of shows you the way to get over there." "What makes G&G, like theBlu, so intriguing is that it immediately delivers on the promise of VR. You are somewhere else that is impossible to actually be, but yet you feel like it’s real. You are there. And then there is this possibility of having an emotional experience with a character that you’re interacting with and influencing. You are not just watching what’s happening. It's not a movie. But it’s not quite a game either. It feels like you are relating to an actual living character, and that’s what is new here. This experience pushes to the next level in terms of exploring this notion of interactive story where you have impact on a world and characters that respond to you. In theBlu, you are the protagonist, and the experience is about moments of connection between you and the whale. In the same way, in G&G, you are the star, and the experience is about your interaction with the goblin. This Gnomes and Goblins Preview is a tasting spoon of the full experience to come. We're just getting started and we're learning as we go. We wanted to share a first look publicly in order to hear from the community and learn from the feedback. We're excited about the journey ahead." "This experience fits perfectly with Reality One’s objective of creating content with the world’s best storytellers. Our relationship with both Jon Favreau and Wevr is important to us and we are incredibly proud of the world we have been able to create together. When Gigi and I founded Reality One, our goal was to create immersive content from the world’s best storytellers. We were very fortunate to begin a relationship with Wevr and to find some of the very best VR content creators on the Wevr team. Reality One and Wevr entered into a partnership and it was Wevr who proposed we collaborate together on Gnomes & Goblins. From the moment I first put on a Vive and saw theBlu I have been amazed at how engaging and vivid the worlds Wevr creates are. And I am very proud to be a part of Gnomes & Goblins. It is one of the richest and most fun worlds I have been in, in VR or otherwise. Jon is one of the greatest storytellers in the world and his vision is something we have been very excited to see come to life." "What I have loved with Gnomes & Goblins has been the process of figuring out how to tell the story of these characters and how to let the audience really enter this world in an organic way, letting it all unfold around them. The technology is important and an integral piece because it’s virtual reality, but really what Jon put in the forefront, and what is most important to us at Reality One, is taking our audience into the creative story driven world of Gnomes & Goblins." 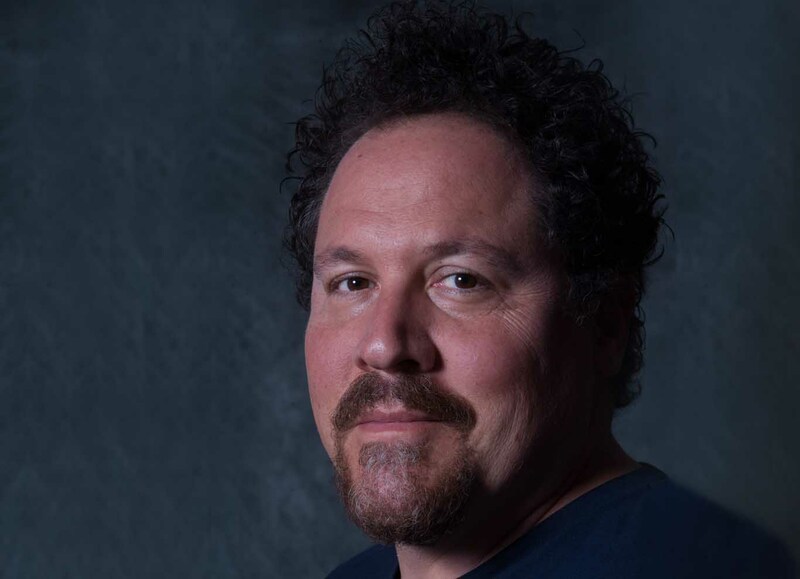 Jon Favreau, creator of Gnomes & Goblins, is an actor, writer, producer and director of both independent and blockbuster films. Jon most recently directed and produced Disney’s live action box office smash The Jungle Book. He first established himself as a writer with the acclaimed comedy Swingers, which he also starred in and co-produced. As an integral part of the formation and expansion of the Marvel Universe, Jon directed Iron Man and Iron Man 2, and served as an executive producer on Iron Man 3.